The neighbourhood might look suitable now, but things can change. It’s a good idea to investigate any future plans that could affect the value of your investment property. For example, the local council should be able to tell you if a freeway or large-scale construction is planned. Major works could increase or decrease your property’s value depending on where they’re situated. Finding a bargain pocket in a good suburb could increase your capital growth potential. By looking at demographic data, such as that collected during the Census, you may be able to spot trends. Perhaps the neighbourhood has recently been gentrified by young professional couples who are increasing the average income of the area, which is likely to increase the value of the property over time. Bargain pockets may also be found in close proximity to high-growth areas that will benefit your investment in the long-term. Searching for an investment property can be a rewarding experience. 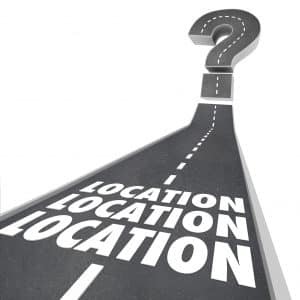 By considering the location, not just the address, you can increase your chance of maximising your rental and capital growth potential. If you need help with the purchase of your property, contact your mortgage broker.